Blend the anchovy paste with the fresh cheese. Add pepper according to your own taste. 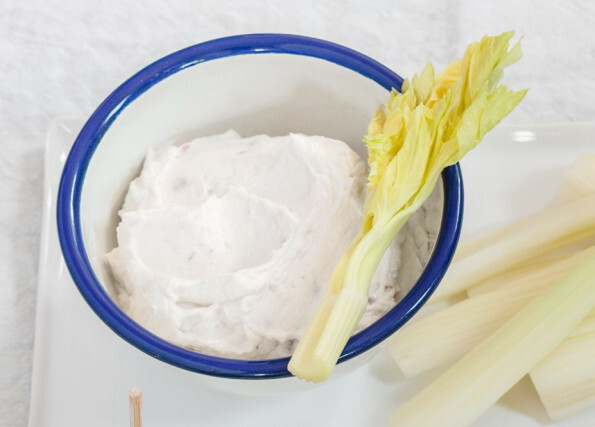 Cut celery into sticks and serve the cheese cream on them. Feel free to add your favourite spices! Ideal as an entrée on toasted bread, crackers or croutons or eaten with crudités. Can be served with vegetables as well. If you fancy the idea of finding tiny bits of anchovies in your cream, use diced anchovies instead of the paste. If you are into spreadable cheeses, then this is a recipe you absolutely must try out! Thanks to the addition of the anchovy paste, the sweetness of the robiola is balanced out and the result is a delicious, tempting cheese cream that you can eat at any time of the day. With toasted bread, croutons or crudités, it can be served as an appetiser or while enjoying an aperitif; it can make a perfect mid-afternoon snack or be the ideal companion to a vegetables-based course. As always, feel free to experiment other ways of enjoying our recipes!